Surviving in the wild — no matter the location or the time of year — depends on human wit and will more than the gear you have in your pack. But all survival experts still recommend assembling an emergency kit of equipment to stay with you at all times in the wilderness. Indeed, if you’re lost or injured, the right gear can mean the difference between a comfortable night spent outdoors, and a cold one. Items like a whistle or a signal mirror can alter fate to issue rescue instead of abandonment. If you venture out into the wilderness without at least the 10 important survival items described in this video, you are unprepared for an emergency situation. This is a great video for beginning outdoors people that will teach you about the ten most important survival gear pieces to bring with you on any trip into the wilderness. 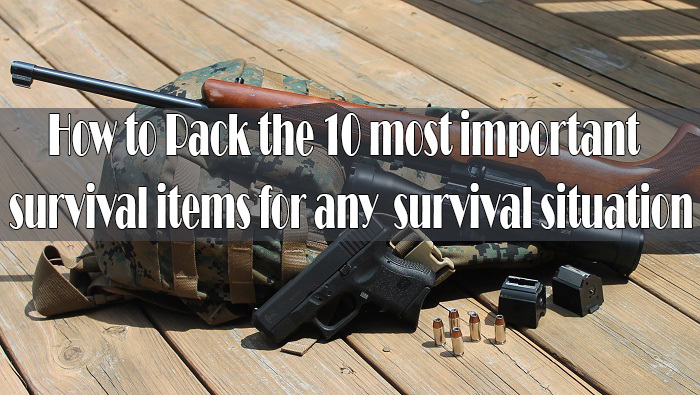 So, here we have the 10 most important survival items. This is a tow part video, please make sure you watch the second part of a video as well. So, I’m away, and thus will never hear -hah- your words of misplaced wisdom. Why is the sound for these videos so faint and low-level? It’s stupid not to ensure sound is good. I know it’s not my ears: Youtube videos nigh always have acceptable sound levels, especially if transcribed from films. Or if they’re music videos.